When her ski instructor husband is delayed from returning to Scotland, it falls to Jude Winters - creative graphic artist, mother and home-maker – to get the season started for ailing White Cairns Ski School. It's a challenge that's way out of her comfort zone. How can she turn things around and keep the wolf from their door until he gets back? 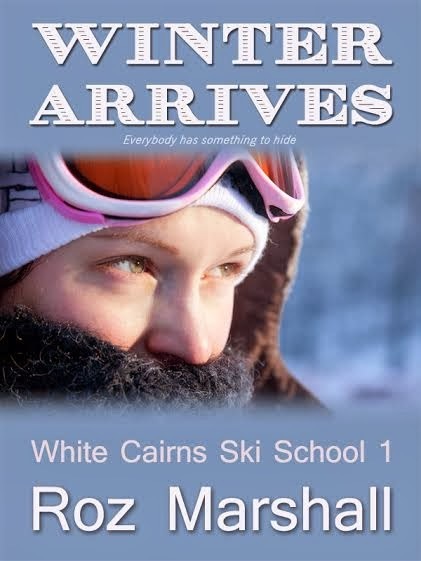 "Winter Arrives" is the 1st novella from the 'White Cairns Ski School' series about the dramas and romances in a Scottish snowsports school. “Winter Arrives” was, illogically, the second book I wrote for the ‘White Cairns ski school’ series. Episode 2, “Fear of Falling”, started life as a one-hour TV drama script; and ended up as a prose novella when I realised how hard it was for a debut scriptwriter to get a series commissioned, and how much easier it is to self-publish a series of eBooks. Like a TV drama series, each episode has its own story arc, but there are also threads from the wider story and foreshadowing for future books. So my challenge in writing Episode 1 was to introduce all the characters in a plausible way which would lead into the (already written) second book, whilst making it a real ‘story’ in its own right, with a beginning, middle and end. This extract shows some of the would-be instructors arriving in the ski resort for their interviews with the ski school. Jude twisted her lip. "I just hope today works, and some good people turn up. We've only got a couple of days left to get the list to Forbes." "She'll be right," Mike said again, but anything else he might have added got lost as the door flew open and a denim-clad bundle of energy bounced into the room. Small, ginger-haired and distinctive, rather than tall, dark and handsome, he looked like the boy next door who'd been shrunk in the wash.
"Morning, campers!" He looked round at the almost-empty room. "I'm never first here?" Jude went over to greet him. She held out a hand, "Hi, I'm Jude, the, erm, ski school owner." He shook her hand enthusiastically. "Hi, I'm Callum. Callum Johnstone." The main ski resort was a few miles away from White Cairns village. Built in the 1960s, around an existing village, it was a jumble of flat-roofed concrete monstrosities, quaint alpine-pastiche wood-clad lodges, and typical Scottish stone-built houses. On the high street, a Premier bus pulled away from the bus stop, leaving two passengers on the pavement. The first quickly strode away, ponytail swinging above the rucksack on her back, Doc Martens tapping a rhythm that counterpointed the ski bag as it banged against her leg. The second passenger looked rather forlorn as she stood amongst her bags, gazing round at the shops and cafes. Tourists milled aimlessly on the pavements, cameras dangling round their necks like medals on Olympic athletes. Mostly they looked like they had just come off a bus trip to 'see Scotland in a day', although a few were obviously there for sporting activities and were dressed appropriately in sensible walking boots, fleeces and Gore-tex. The only local in evidence was a rather dishevelled, stringy old lady with grey hair and a decades-old ski jacket who was pushing a bicycle across the street, plastic supermarket bags swinging on the handlebars. Debbie hoped that the rest of the skiers round here were a bit more modern, and perhaps more masculine as well. Sniffing, she unzipped a pocket in her sports bag, and pulled out a rather crumpled bit of paper. She studied it, then looked up and down the street. She frowned, turned the diagram through ninety degrees, looked left, and spotted the upper floors of the Regal Hotel. Stuffing the paper into the pocket of her hoodie, she took a deep breath and picked up her bags. In the hotel car park, a beat-up Fiesta was sitting with its engine running, its windows starting to steam up. Inside, two sets of lips were welded together in a farewell clinch. After some long minutes, they broke apart and the passenger reached behind him for the door handle. He slid out of the door, lips last, then flipped the seat forward and pulled a snowboard bag off the back seat and onto the pavement. He leaned back in for another kiss. "Last night was awesome!" She pouted back up at him, saying, "Anytime, cowboy!" Then something across the car park caught her attention, and he noticed her pupils widen. He turned his head to see what she was looking at, and his eyes narrowed. Another snowboarder was swaggering across the car park. He looked like a surfer dude – baggy cargo pants, a Fat Face sweatshirt, Converse sneakers and Oakleys perched on sun-bleached hair. Marty stood up, pulled his sunglasses off his curly hair and onto his nose, then smacked the roof of her car and waved her off, saying, "I'll give you a call." He wouldn't. The other snowboarder approached, sizing him up. From the look on his face, he obviously thought his labels were more impressive than Marty's jeans and fleece. "Hi bro, I'm Colin. You here for the job?" "Yup." Marty hoisted his snowboard bag onto his shoulder. "What d'you ride?" asked Colin. Colin sniffed. "I had one of those last season. Got rid of it." Marty just looked at him. "I got an Oppera Maxride from the rep. Wants me to test it for them. It's totally rad." Marty shrugged. "I heard they were pretty sluggish. But okay if you don't ride too fast." He turned his back and headed for the hotel entrance. They might be fellow snowboarders, but it was obvious they weren't going to be friends. 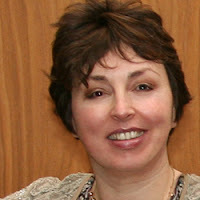 For more info on Roz Marshall, check out her books on AMAZON, get her NEWSLETTER, follow her updates on FACEBOOK or read her BLOG.